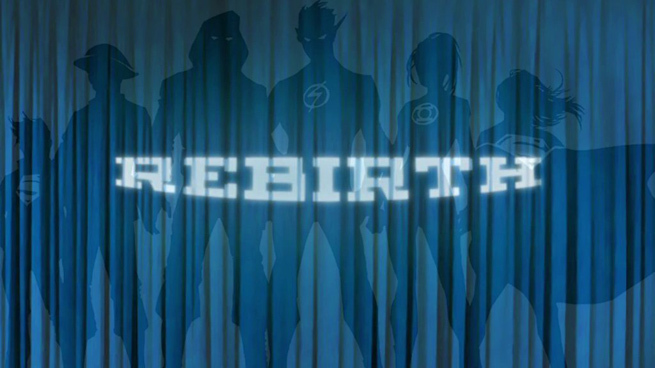 “Curious” and “cynical” are two words that DC Chief Creative Officer Geoff Johns used to describe fans’ reactions when word of “Rebirth” first leaked. He lays that out in a video shown to retailers and released on Comic Book Resources today, as part of the major roll-out of the “Rebirth” event which is… what, exactly? “Not a reboot, and it never was.” Mysterious. Almost four and a half years after DC Comics’ LAST major revision with the New 52, the publisher is retooling with a sense of legacy to their books. With that sense of legacy, they’re also restoring a lower price point. When once they touted they would “hold the line at $2.99,” for a while their books have been creeping into $3.99 and more. But with the possible exception of the 80-page DC Universe Rebirth one-shot coming in May, all their titles are returning to $2.99. That seems like good news to me, though already retailers are reacting with that cynicism Johns predicted. But if we can step back, let’s appreciate that Johns seemed to be tacitly acknowledging that mistakes have been made. In the video he goes on to say that he has worked with creators overseeing every title — along with co-publishers Dan DiDio and Jim Lee — to make sure that the sense of legacy, of getting back to what makes all these characters cool, would be there. UPDATE: DC has also offered to reimburse retailers 100% for any advertising costs they incur promoting the Rebirth Event. As far as legacy goes, all but two titles will be restarted with first issues, however. This is a nice nod to trying to restore that legacy. Action Comics will resume with #957, and Detective Comics will be #934. (Action Comics, despite starting after Detective Comics, was weekly in the 80s.) Several of these new books will also be twice a month, which likely makes up for that reduction in price when you’re spending it twice. For titles, this means the long-rumored restoration of the Justice Society of America as a 1940s crime-fighting (and, we’ll assume, Nazi-fighting) team – though I’ll wager they’re also back to Earth-2, which continues as a title. 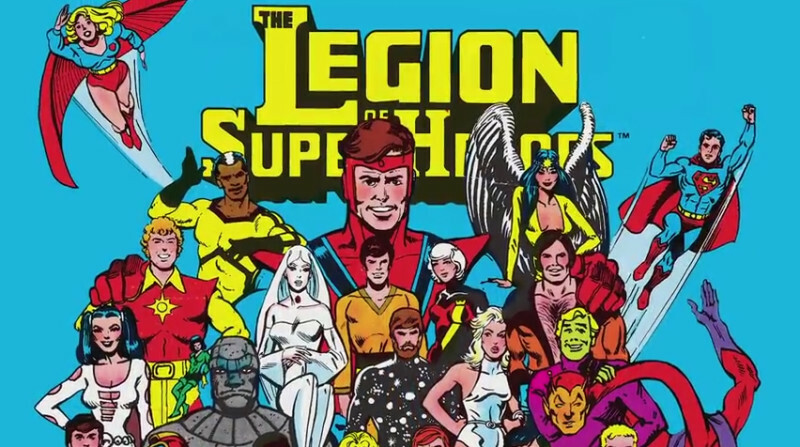 In Johns’ video he also teases the Legion of Superheroes, who if we’ll remember way back at the beginning of the New 52 alluded to a “Flashpoint Barrier” in time — meaning they held the ‘get out of reboot free’ card. But there’s no title that looks like it would obviously tie-in unless it’s… Super Sons? (For that matter, glad to see a title like Gotham Academy continue, just because it’s so offbeat within the strictures of the Bat-Family.) 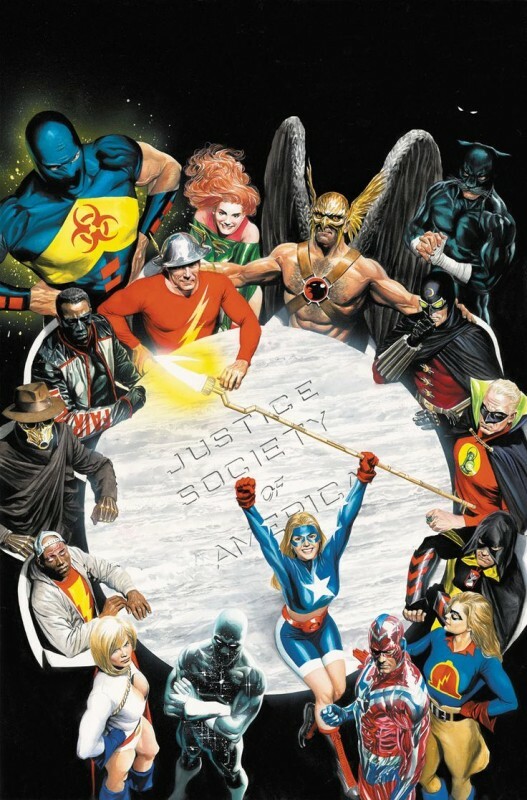 Both the JSA and the Legion were alluded to with classic images, not new ones — so in keeping with Johns’ legacy theme, we’re left to draw conclusions about the future by referencing the past. But yes, we’ve heard it all before. Let us also not forget that some of those earlier mistakes over the last couple of decades have been at the hands of Johns himself. His own revamping of Barry Allen wiped away his own strong work on The Flash (though it did pave the way for the excellent CW television series). But for every Flash, there has also been a Green Lantern success, and to some extent, both his work on Aquaman and Justice League have been stellar, forcing the revamped team into stories that recaptured the excitement of the old days. Sometimes. It does look like there’s a focus on characters that have successfully become transmedia properties, and in today’s market, that makes sense. Sorry, old guard, it’s true. You can see the focus both in the titles below and in the updated curtain image that DC released. Starting on the left, it’s the old, jacketed Superboy — who could be recast in Super Sons or Teen Titans. Next to him looks like the classic World War II version of Jay Garrick, The Flash. Then there’s the hooded (Green) Arrow, standing next to what looks like Kid Flash — who could very well be a Wally West in line with the character on the television show. Is that Power Ring next to Kid Flash? And finally, we have the Sensational New (Old) Character Find of 2015/2016: Supergirl.